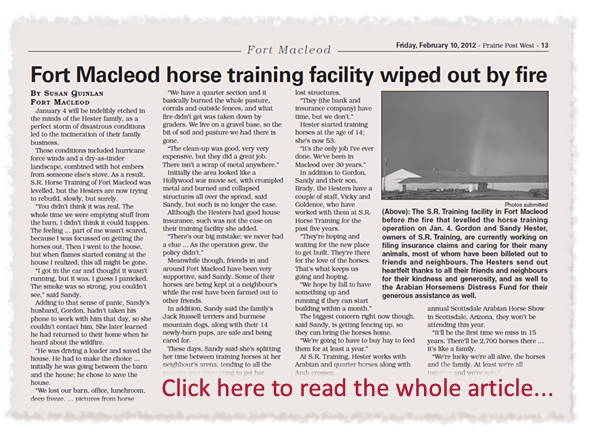 We are a family business in Fort Macleod, Alberta. We raise Arabians, Arabian Crosses, Jack Russell Terriers, and Bernese Mountain Dogs. 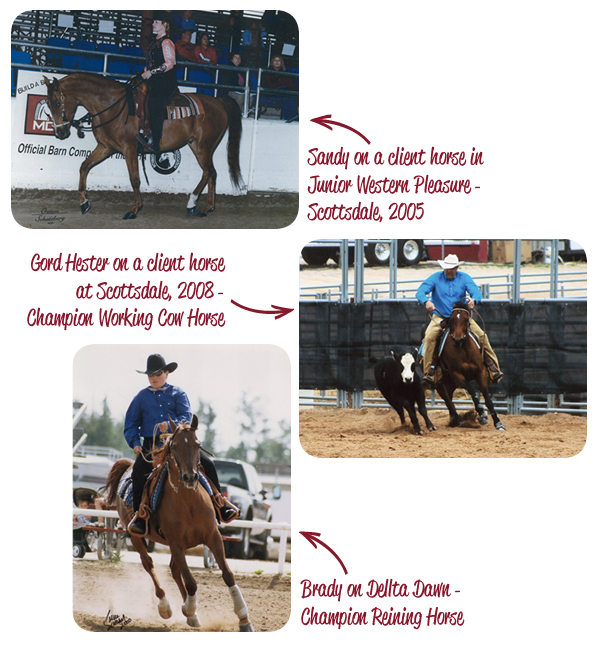 We train horses from start to finish. Sandy and her Junior Trainers start the youngsters, doing lots of ground work and round penning, easing the youngsters into a working frame, ponying, bathing, clipping, working with feet, loading into trailers, and all the basics to get the horses to a place where they can be evaluated on what discipline they would do best. The boys, Gord and Brady specialize in Working Cow Horse and Reining. Sandy enjoys the Western Pleasure, Side Saddle, Arabian Costume, Trail, Country English Pleasure.